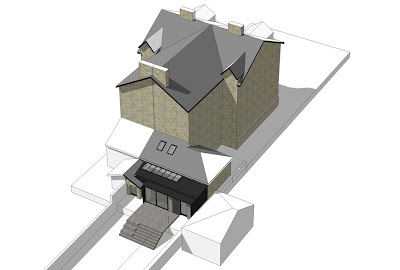 doma architects: Another successful Planning Application in Harrogate Conservation area! 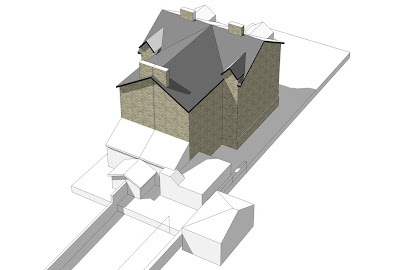 Another successful Planning Application in Harrogate Conservation area! 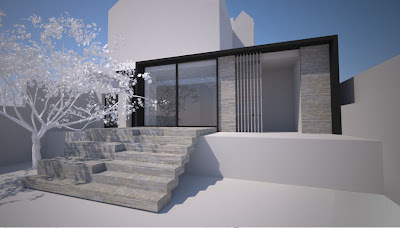 We are very excited this week as Harrogate Planning Department have approved our application for a contemporary extension to a house in Harrogate Conservation Area. This is a huge achievement and we extend our thanks to the Council for working with us. The property forms one half of a large Victorian semidetached property. The front of the property is relatively ornate and unusual with its curved bay windows and entrance door. To the rear the property, the styling is less formal and gradually steps down in height with a mix of gable and lean-to extensions to the main house. The rear of the property has been extended in the past in the form of an unsympathetic flat roofed garage extension. Currently, the only access to the garden is through the utility room and garage. The utility room window provides a limited view onto the garden. It was very important to our clients to change the layout of the rear ground floor rooms to improve the use of habitable accommodation within the existing property and provide a direct visual link from this main living accommodation to the garden at the rear. 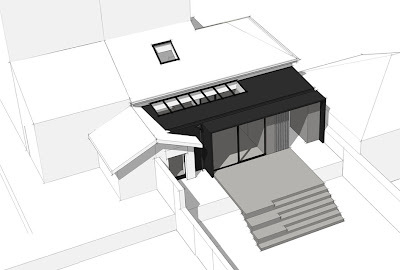 The contemporary element to the rear will be clad in standing seam pre-weathered black zinc. The main openings will be framed in an overhanging soffit detail which will be detailed to present as fine an edge as possible. Within this frame are set sliding glass doors with a black painted aluminium frame. Sections of vertically boarded timber panels and vertical timber slats soften the overall appearance and are layered to add depth to the elevation.